Cryptocurrencies are considered properties for tax purposes, which means any gains from transactions with such are taxed as those from real estate, stocks or bonds. Now here the important things you need to remember when you are reporting your cryptocurrencies on your tax return. If you hold cryptocurrencies but haven’t sold any, you didn’t realize any gain. 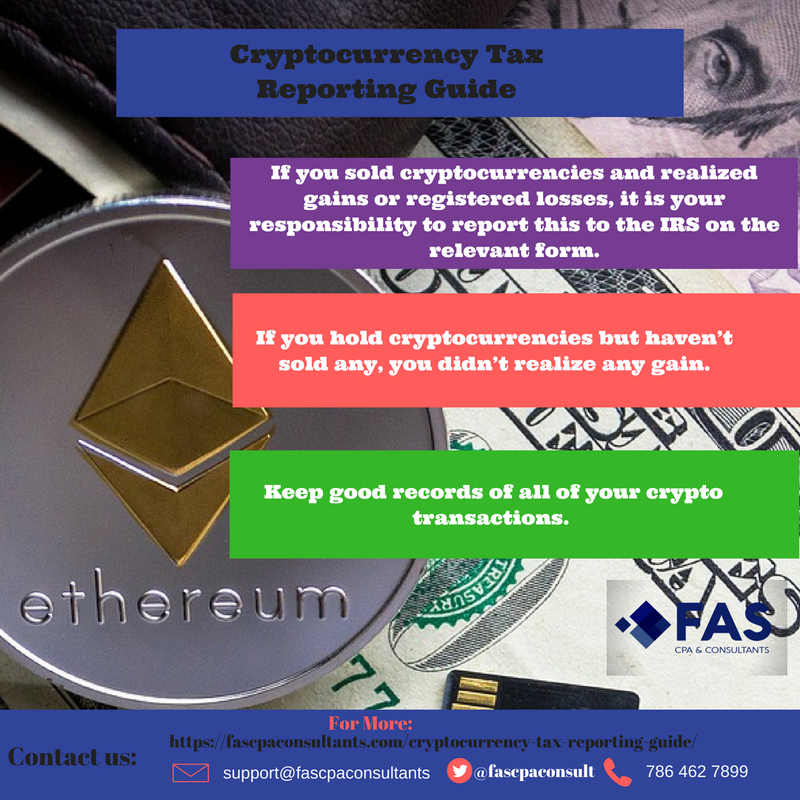 If you sold cryptocurrencies and realized gains or registered losses, it is your responsibility to report this to the IRS on the relevant form (1099-K in most cases, but contact your CPA or tax advisor to confirm). Coinbase won’t send you the form unless you’ve had $20,000 in gains and at least 200 transactions. Failure to report transactions will be penalized. The IRS may discover what you tried to hide later and you will still have to pay taxes with interest and penalties on top. If they suspect that you have deliberately omitted the crypto transactions from your report you could be prosecuted with criminal charges for tax evasion. This means you could spend up to 5 years in prison and pay up to $250,000 penalty. Keep good records of all of your crypto transactions. This will help you prepare your next tax return much more easily.